Over/Under: Under 147.5 at 1.90 Bet Now! This is the fourth time these two sides have met this campaign and it’d be fair to say that neither of these teams are enjoying the Top 16 too much at the moment. The hosts have a 1-6 record at the halfway stage of the campaign but their Spanish rivals aren’t fairing much better with Malaga holding a 2-5 record at this stage of the group. 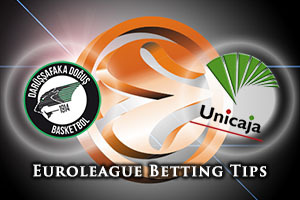 While Darussafaka have enough to worry about going into this game, they know that the formbook for this campaign is on their side. Of the three games the two teams have already played this season, the home team has triumphed in all of them. This will give the Istanbul side a bit of hope but of course, the threat that all runs have to come to an end at some point will surely be in the back of their minds. Semih Erden has been in tremendous form of late and players like Luke Harangody and Marcus Slaughter have played better than the Darussafaka run of form would suggest. There is a need for these players to be at their best on Thursday night for the home team’s sake. 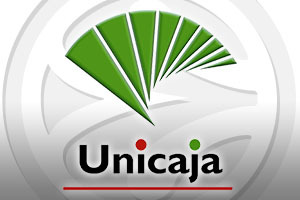 A 9-8 record for the season so far isn’t a great showing by Unicaja Malaga and they will fear dropping to a 9-9 record by the end of this week. There is still a chance for the Spanish side to progress from the Top 16 but this is the type of game that to be won. Richard Hendrix and Fran Vasquez have been in brilliant form while Mindaugas Kuzminskas has often been the difference when things have gone well for Unicaja. The injury to Jamar Smith has hurt the team though and there is a need for the squad to step up in Turkey this week. The hosts are just favourites so taking Unicaja Malaga at +2, at odds of 1.90, is likely to be a decent bet for Thursday evening. With respect to the Over/Under market, look to go UNDER 147.5, which you can find at odds of 1.90. Bet Now!